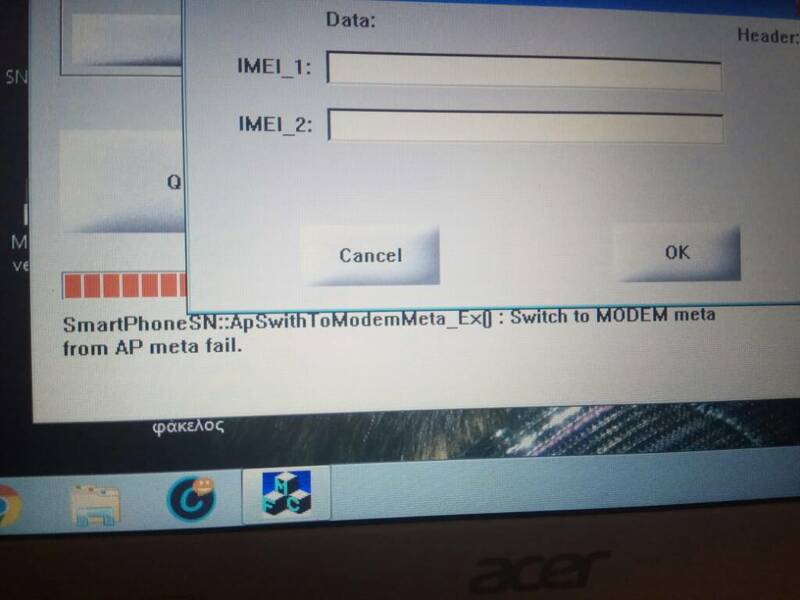 Good morning i use sn writer v1.1712 it and it makes me wrong smart phone sn::ap swith to modem meta ex_ witch to modem meta from ap meta fail... what it means? (05-30-2017, 01:55 PM)George79 Wrote: Good morning i use sn writer v1.1712 it and it makes me wrong smart phone sn::ap swith to modem meta ex_ witch to modem meta from ap meta fail... what it means? Whay version of SN writer are you using? Also, where did you get the APDB files you're using? Is your phone running on the official global ROM i.e have you flashed it to your phone?